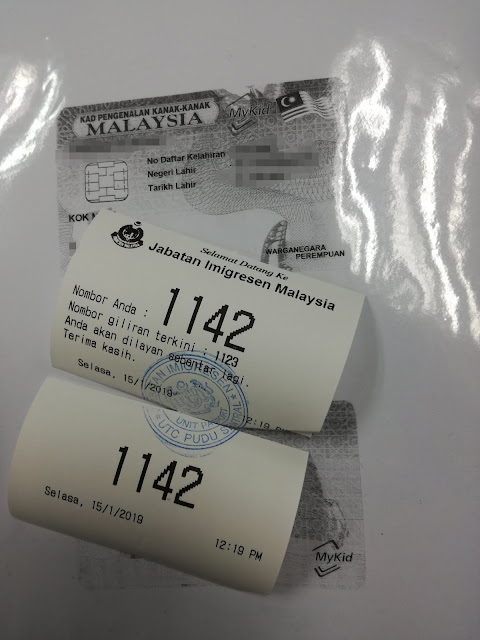 Getting a passport can be a daunting task, well, to be honest, even my last visit a few years back, I had to wake up really early in the morning, line up and get a number because there is only a limit of applicants that can be done in a day but I've got to give credits to our officers because I am so glad our Malaysian Immigration office has improved so much, it's fairly quick now and it can be done within a day, all you need is a few hours of your time. 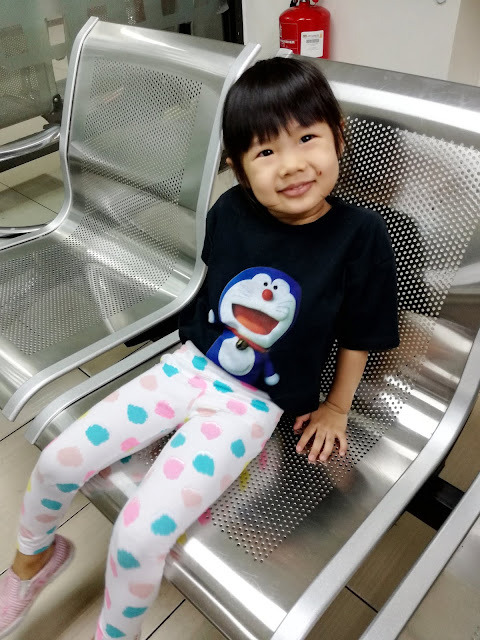 Miya is turning 4 years old this year and there is no better time than flying off for a holiday this Chinese New Year to Bangkok. It will be her first flight experience and both of us are really excited! 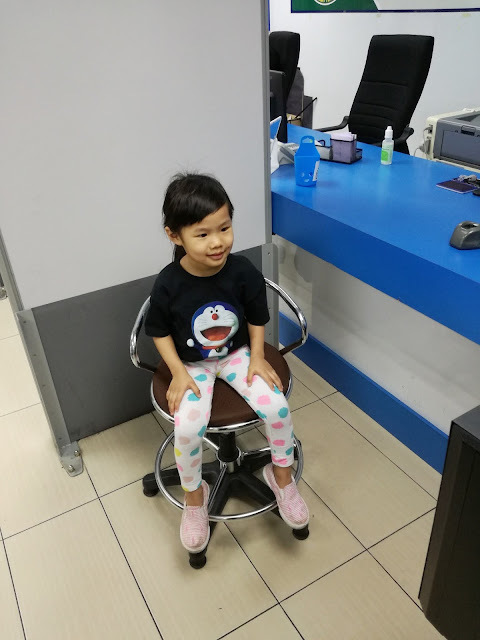 Anyway, back to the process of getting a passport for her, I found UTC Pudu Sentral Immigration office is the fastest way to get a passport done. Passport Price & Payment for 2019? I went during lunch hour and the queue was pretty short, they were only 19 people ahead of us and there is a special lane for children so we only waited for 30 minutes for our turn, another 15 minutes for payment and we went out for lunch and came back to collect it. In total, we spent a little bit than 2 hours so it was pretty quick! Overall the process was really quick, I highly recommend going to UTC Pudu Sentral Immigration Office if you're looking for a fast way to get a passport. 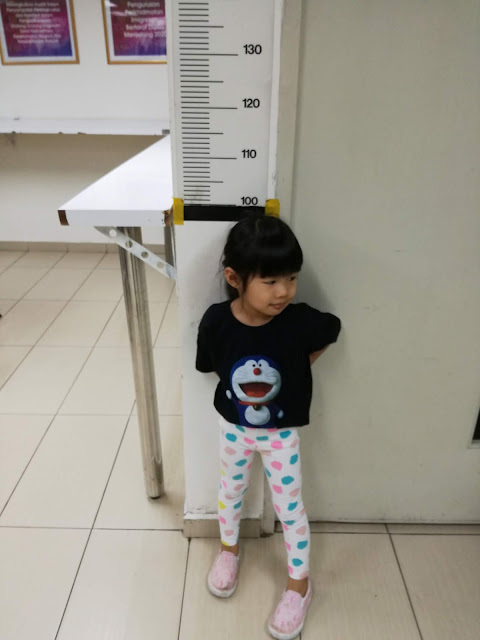 The officers were pretty friendly to Miya too because she was quite cheeky during the photography session, so we spent a little bit of time there and before I forget please wear dark-colored clothing, keep the hair neat and tidy and the face visible for the photograph.